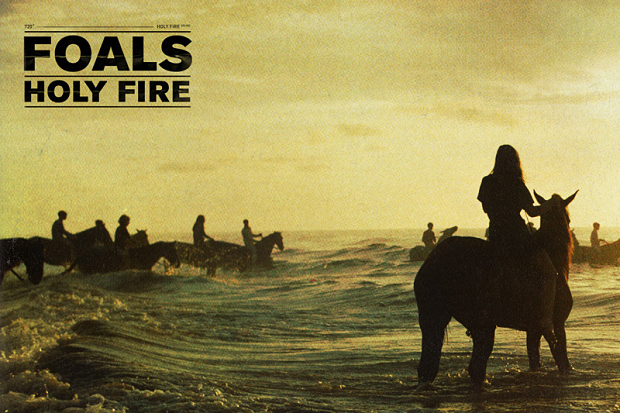 Foals are my number eight track for 2013 with ‘My Number’. Inhaler, the lead track from Holy Fire was in both Roy’s and my lists last year and the album that followed spawned a number of singles throughout the year, of which ‘My Number’ was the best. David Bowie – ‘Love is Lost (Hello Steve Reich mix) ‘ Bowie’s year without question. The Next Day was a real return to form but the Next Day Extra EP (more a second full album) from whence this comes, was in a different league altogether. James Murphy’s remix is inspired, particularly the referencing of ‘Ashes to Ashes’. Foals and Bowie certainly seem to be in the upper echelons of most people’s end of year lists. I think I’d already compiled my 2012 list before I’d heard “Inhaler” (such is my efficiency!) but it certainly deserves to be included. As does the remix of “Love is Lost”. When you combine ace-minimalist, Steve Reich’s handclaps with “Ashes to Ashes” you’re getting into “dream territory” for me! My number 8 is coincidentally the first song I played this morning, whilst waiting for a train which I should have been on had the rail company not decided to introduce an emergency timetable due to “forthcoming bad weather”. Still, the extended journey gave me ample time to listen to the excellent “Crimson / Red” album from which this is taken. It’s already been referenced by Roy, so not much more for me to say except, a bit like my travel arrangements this morning, after such a long wait, Paddy McAloon’s tunes are appreciated all the better for not having them that frequently. Obviously I love the Sprout. If only he would release the Christmas album he has recorded! I like the Bowie track a lot, but had only heard the full 10 minute version. Unlike the Primal Scream 2013 edit, I actually prefer this shorter version.